The unemployment rate for deaf Canadians is 40%, because most employers have trouble imagining how a deaf person would function on the job. 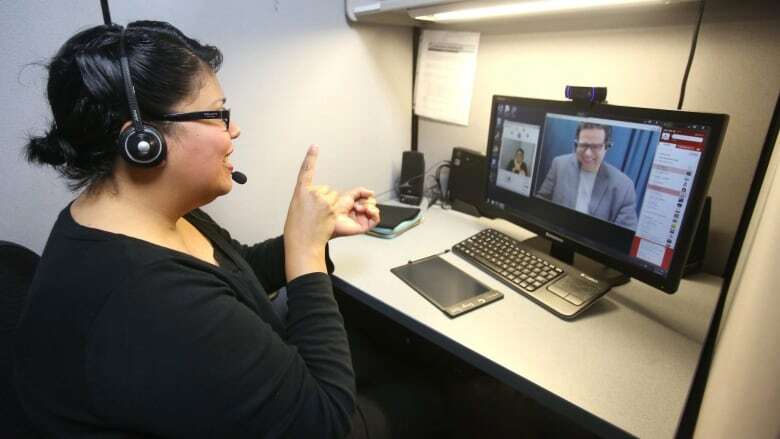 Jim Roots, Executive Director of the Canadian Association of the Deaf, says modern technology has removed barriers to workplace communication. This is a transcript of our interview with Jim Roots, Executive Director of the Canadian Association of the Deaf, an advocacy group of and for people who cannot hear. He spoke with Michael Enright from the CBC studios in Ottawa, with the assistance of Roxanne Whiting, an American Sign Language interpreter. For the past few years, the national unemployment rate in Canada has been hovering at around six or seven per cent. But for one segment of the population, deaf Canadians, it is 40 per cent, and it has been at that level for several decades. Four out of every ten Canadians who cannot hear want to work, but no one will hire them. The vast majority of deaf people who are working have short term contracts or are self-employed. The ability to communicate is central to workplaces, sometimes with a client or a customer, sometimes at formal meetings and often between colleagues. Most people in a hiring position cannot imagine how a deaf person would manage. 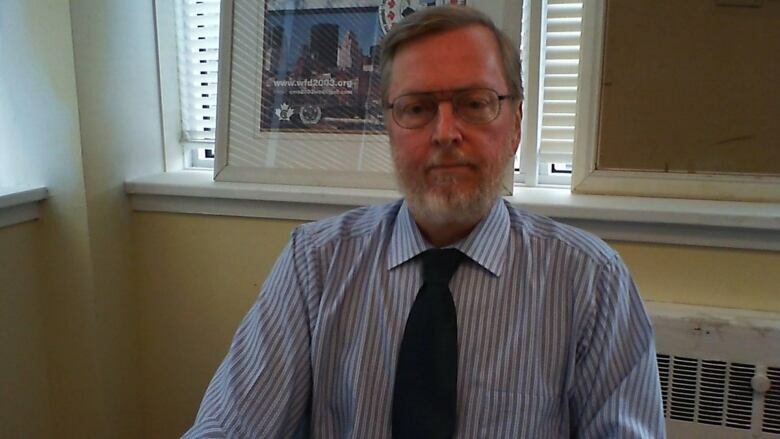 Jim Roots believes there is no practical reason to reject job candidates because they are deaf. He says employers deny them the opportunity to work because of their own ignorance and wrong assumptions. Michael Enright: Now Jim, you told a parliamentary committee that employers are more comfortable hiring people with just about any other kind of disability other than deafness. Why is that? Jim Roots: That's right. Because most employers assume that there will be problems communicating with their deaf employees. They can't imagine how communication can occur or happen. So I think there's a bit of nervousness as well with the risks involved for lack of communication. For example, if there's an emergency in the workplace, such as a fire, they are not sure how they would communicate that to their employee. That's one small example of the greater problem. ME: You've described the greater problem as a crisis in unemployment for deaf people. JR:It's a perpetual ongoing crisis. Yes that's how I would categorize it. ME: How do you respond to people who just can't comprehend how a deaf person would integrate in their workplace? What do you know that they don't, the rest of us don't? JR:Well, if we look back 30, even 35 or 40 years ago, there were significant communication barriers at that time. It was very difficult to overcome those barriers. But with the advancement of technology, it's an even playing field now. To give you some examples, in the past where a deaf person couldn't pick up the phone and communicate with their employer or co-workers or what have you. That was a prerequisite at that time in a white collar job, for example the ability to communicate over the phone. But with technology now, you don't need that. You can text. You can e-mail. And if a phone is required there's now a video relay service and that increases efficiency and the ability to communicate over the telephone for deaf Canadians. So those types of barriers should not be present today, but a lot of employers don't realize that. ME: As I said in the intro, you've said that a lot of this is caused by the ignorance of employers and the people in the hearing community. How do we, the people in the hearing community, view the deaf? JR: Well, often they think that deaf people don't have language or that sign language is a monkey-gestural type of language and it's not a valid language, and so therefore they can't communicate. Often the first question I get asked is, 'Can you lip read?' And it's a myth and a fallacy that most deaf people know how to lip read. Most deaf people don't. There's many other ways to communicate. So that's one example. ME: You also said at one point that people in the hearing community tend to patronize the deaf. JR: That's right. Patronization is really stemming from attitudinal views. You know, those poor deaf people, don't worry about what's happening right now. I will make that decision for you. I will help you. From a person who is born deaf, for example, the hearing adults in that child's world will make decisions on behalf of that child, whether they get a hearing aid or a cochlear implant, if they'll learn sign language, if they'll go to a school for the deaf or if they'll be mainstreamed. The deaf child doesn't make that decision at that point, it's the hearing adults. And most hearing people pity deaf people. They consider us a disabled group, and they think we can't do things independently because we cannot hear; but that's where they're wrong. We can do those things for ourselves. ME: Is that what you mean when you talk about the medicalization of deafness? JR:Yeah, I guess what that means is viewing the deaf person as something that needs to be fixed. Deafness needs to be eradicated or removed, the view of deafness being an illness and trying to make it better. And so trying to find a cure, if you will. In society, in terms of interpreting deafness, you respect the person as being deaf and then find alternative means to communicate with that person because a deaf person isn't sick. You can't actually catch deafness it's not contagious. ME: Do you consider deafness a disability, a physical disability? JR: It depends on who you ask. If you ask somebody within the deaf community, they would say, 'No, I'm a linguistically cultural minority. That's how I would view myself.' If you're not within the deaf community then you do view deafness as a disability. MR: When hiring a deaf person, would the employer also have to hire an ASL interpreter, like Roxanne? JR: Not necessarily. A deaf applicant should identify themselves requiring an interpreter for the interview, for example, to be considered for the position. But in the past deaf people might not self-identify as being deaf at that point. But now, I think most deaf people are very proud of their identity, their cultural identity of being a deaf person. So they would make that request for an interpreter or other accommodation that they would need for the interview, and going forward in the workplace. Being deaf to them is just like someone saying, 'I have blonde hair.' You know, it's just, it's who they are. ME: Are there advantages to hiring someone who is deaf or do employers usually say it's too much trouble? JR: I think a lot of times employers don't take that next step, to figure out what the advantages might be. They just assume it'll be too much trouble. Sometimes when they look over the resume and they see that that the applicant went to a school for the deaf, they volunteered with deaf organizations, maybe they worked in a deaf service agency, they think, 'You don't have any real world experience outside of the deaf community.' And so they don't even consider their resume or the experience that they bring to the table. ME: Are there particular lines of work or occupations, jobs, in which the deaf excel? JR: Currently, this generation of deaf youth are quite skilled in gaming, video gaming developing CGIs and that realm of technology, because deaf people are very visual. We're seeing a lot of deaf people excel in that area of technology. ME:Your organization, Jim, estimates that about 65 per cent of the deaf may be functionally illiterate. That must be a problem as far as employment is concerned. JR:Well, not necessarily. If you pay attention to Twitter, you'll know that two thirds of the hearing population are also functionally illiterate. ME: (LAUGHING) That's a good point! JR: But really, the deaf person's literacy skills haven't improved too much from that last statistic, but I think that they're sort of on a more even playing field now. I think, in general, the hearing population's literacy levels have dropped. I'm in the top one per cent being at a skill level of literacy, and I've tried to read some comments on your website, at cbc.ca, and sometimes I'm having difficulty understanding what people are saying and commenting because the English is so poorly written. And then later, I'll read some texts between myself and some other deaf individuals and their level of English is exactly what I've just read from comments online. ME: In terms of education, what are the barriers for people finishing high school or going on to university? I was reading one statistic that your organization put out: in the entire country there are only three or four deaf university professors. JR: That's right. It's very difficult today for deaf students to enter universities or colleges primarily for financial reasons. If they don't have money they can't go to university. They'll try to apply for scholarships. If their high school achievement wasn't satisfactory, then they don't get the scholarship, therefore they can't pursue their education. ME: When a deaf person is applying for a job, do they reveal their deafness on the application form or later? And if they do, what are the chances of being interviewed? JR: Really, it varies. It's a decision that deaf people struggle with when they're applying. Sometimes they include it in the cover letter. Sometimes they wait until they're asked for an interview, and then they make a request for an interpreter at that point. Sometimes they feel that the employer might perceive them as not being honest because they haven't self-identified right from the beginning, so that creates another level of issue. So there's no hard or fast rule for a deaf person. They just use their intuition for each situation. ME: At one point, I think Jim, you said that the only place deaf people can find jobs is within their own community, that the outside community won't hire them. What kind of jobs are we talking about here? Where are they working? Who's doing the hiring? JR: Most are working for deaf service agencies, deaf institutions, deaf associations. A few of them may work for organizations that service people with other types of disabilities. Many of them teach sign language. They're not wealthy by any means in these types of positions. One third of deaf Canadians earn less than fifteen thousand dollars a year, so it's quite small. ME: There's another statistic – I mean, that one is frightening enough – but apparently there is 0.1 per cent of the federal civil service are deaf people and most of them are temporary and most of them are in menial positions: maintenance and janitorial work and that kind of thing. JR: That's right. The federal government should be ashamed of themselves. They've fallen short here. Within the federal government, if you want a good job you need to be bilingual, English and French. That's common knowledge. If you've grown up deaf, you've struggled to pick up written language in English or French, depending on where you were born. You may become fluent in ASL American Sign Language and LSQ, the Langue des signes du Québec, the French Sign Language equivalent in Quebec. But the federal government doesn't recognize ASL or LSQ as being languages…and being recognized as fluency. So that's another barrier for people entering the civil service with the federal government. ME: Tell me, Jim, about what was called the National Deaf Jobs Strategy. What was that all about? JR: That was back in 1998 through to 2003. It was a five-year project. There were a few different programs that we had running at that time. It was to create jobs, find jobs, and create additional opportunities for deaf people across the country. For example, in one of the programs we trained people to become video producers, videographers. In other program, we had people trained to become resource development officers. There was a series of targeted jobs, if you will, and I believe that we had a total of four or five programs. We received funding from the federal government. We had monies from the Opportunity Fund and that was dedicated for one program. Then we had social development partnerships programs funding to fund something else, and so on and so forth. ME: It sounds it sounds like it was quite successful in its own way. Why wasn't it renewed? JR: It was successful. At the time, I guess what happened was Stephen Harper became prime minister. And what happened once he took office is that all the funding that was available for national projects was taken off the table, except for one, the Opportunities Fund that I mentioned earlier. There was a national call for proposals at the time, and that was suspended. It was put on hold. And throughout all of his years as prime minister in office, there was no opportunity to apply for that funding, and that was one of the biggest reasons. Another reason is that I think maybe we were an embarrassment to the government because we said, 'If you give us the money, we'll create a hundred new jobs for people who are deaf in this country.' And the federal government didn't have any funds directed to creating jobs for deaf people themselves. They hadn't hired any deaf people in the federal government, and their employment rate in terms of hiring people from the deaf community was zero. And ours was at one hundred. ME: I guess the idea was that it made more sense to kill programs for the deaf so that we could buy another helicopter or two. JR: (LAUGHING) Well I guess, if you put it that way! ME: We've talked about how government can get involved in all this. What about the private sector? What about private employers? What is their responsibility? JR:Well, we do have the Employment Equity Act and I don't think it's been very successful at all. It doesn't have any enforcement behind it, any teeth, if you will, to enforce it. ME: What is it supposed to do? JR:It's from the 1980s. It was supposed to encourage contractors within the federal government, to encourage them to hire more people with disabilities, not only people with disabilities, but women, visible minorities, what we called back then, Indigenous groups and – I'm not sure what the appropriate term is now, is it racialized minorities? But at the time that program was put in place to address the gaps within those communities and there was funding available with targets to hire a certain number of people within those groups. ME: Are you having conversations now with the current government? There's an election coming along in about 16 months. Do you have any leverage to get the government to improve the employment situation for the deaf? JR: We're very, very hopeful that the federal accessibility legislation will get the ball rolling again in our favour. We hope that that might be introduced in parliament later in June, and if it does get tabled in parliament it would become effective in 2019 and we're very, very hopeful. We have very high hopes for that legislation. But coming back to the point: any legislation, any programs, any policy has to have enforcement. And we've advised the federal government while they are drafting this legislation that there must be strong enforcement that's part of this policy. It has to be external monitoring and run by people who themselves have disabilities. ME: I understand that one of your recommendations, Jim, is that the federal government adopt American Sign Language or ASL as an official language along with French and English. Why would you want that, and how would it work? JR: That's right. Because currently there's no enforcement, as I mentioned, for language. Section 15 in the Charter of Rights is very weak. So, if American Sign Language and LSQ were both recognized as official languages in Canada, then we'd have some protection for our language rights. ME:Let me ask you, Jim, before any of these policies can be enacted or enforced and before governments can come on side, doesn't there have to be a change in attitudes in the hearing community, in the way that we look upon the deaf or think about the deaf? One quote that you made jumped out at me: you said that deafness is only a horrible calamity if hearing people make it so. ME: How do you change attitudes then? JR: Well, if we look to the U.S.: before the Americans with Disabilities Act was enacted, deaf people were in the same sort of position we are here today. They weren't looked at very favourably and not given lots of opportunities. After the ADA was passed, people started to realize, okay we have an obligation here. We have to respect what's coming from the deaf community. They have their own language. We have to respect that it's a language in its own right. We've got to try and merge this community with everyday society. The result of that? One example is captioning. Prior to the ADA, it was a fight to get captioning added to television programming. There was no captioning. Deaf people couldn't watch the news or watch movies. After the ADA was put in place, captioning started being included in VHS tapes and television programming, and there was a budget set aside for it, specifically. Then over time, that really changed a lot of the attitudes towards deaf people in the United States. So that's just one example, and I suspect the same thing would happen here in Canada. Once people realize that we have to accommodate and incorporate and include deaf people within our everyday society, over time attitudes will change once they see what deaf people can bring to the table. But first those language rights have to be recognized, and that we're included. ME: Is there a final thought or some kind of message from you to people who might never consider hiring a deaf person. What should that person know? JR: That deaf people are just like just like you. The only difference is how we communicate and even how we communicate now is changing. We have text, we have emails, we have video relay service. We're able to communicate just like anybody else. We're all part of the same community. You know we're all part of the world. We're all part of it. The only difference is how we communicate. If you think about communicating with a deaf person one-on-one on the job, you'll find that once you provide that accommodation – and not only for the deaf person, there's other people within your workplace right now that have communication challenges or preferences – and providing accommodation to the deaf person might highlight and might improve communication for everybody in your workplace. ME:That's a good point. Jim, thank you. JR: I just wanted to add that one movie, it was called A Quiet Place: hearing people went in to watch this movie about a deaf girl. It's a very recent production and they were communicating in sign language. ME:Right. That's right. It was a horror film. JR: Yes that's right it was. But signing would make them safe. And so everybody benefited. JR: And when people were leaving the theater, people were saying, 'You know what? I never thought about that. You know sign language is really cool! I never thought about sign language in that way.' Sign language benefits everyone and in many, many ways. ME: That's terrific. Jim, thank you very much for joining us this morning. It's an important topic and it's nice to meet you on the radio.